We’ve had a great start to 2019, with the team already completing a number of stunning commercial and leisure facility projects. As the first quarter of the year draws to a close, we look back at some of our highlights so far. Bold colours and designs have been a popular choice this year, from small pops of colour to entire spaces filled with bright colours. 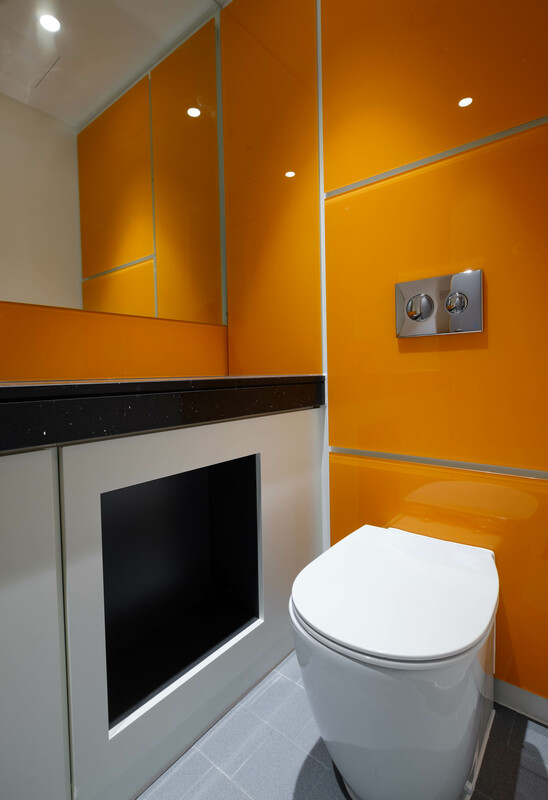 For the washroom in this office complex our Concerto integrated duct panels were faced with orange coloured toughened glass to contrast the classic Arpeggio Silestone granite effect vanity units. Grey remains a popular colour choice, partly because it lends itself so well as a neutral complement smaller areas of bright colour, as the new cycle change area at Westfield London demonstrates. 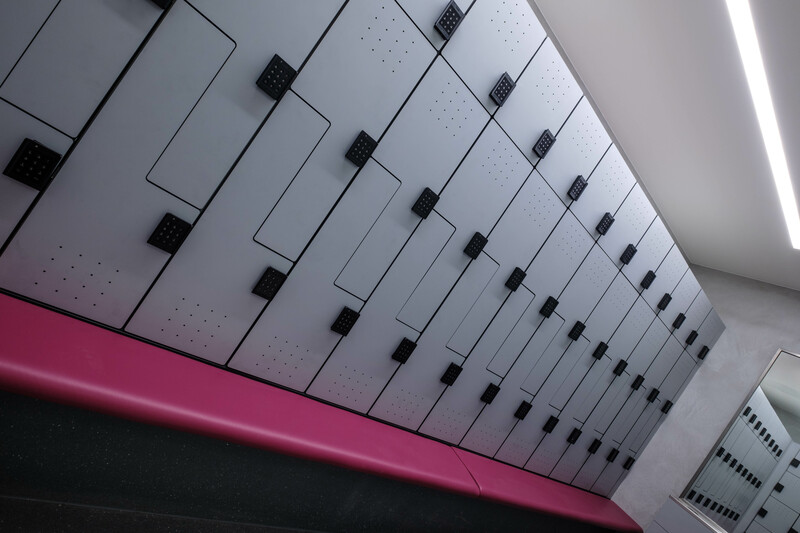 Our Forza solid grade laminate lockers keep the space classic in grey, while the Legato bench units with pink cushioned seat pads add a splash of vibrancy. 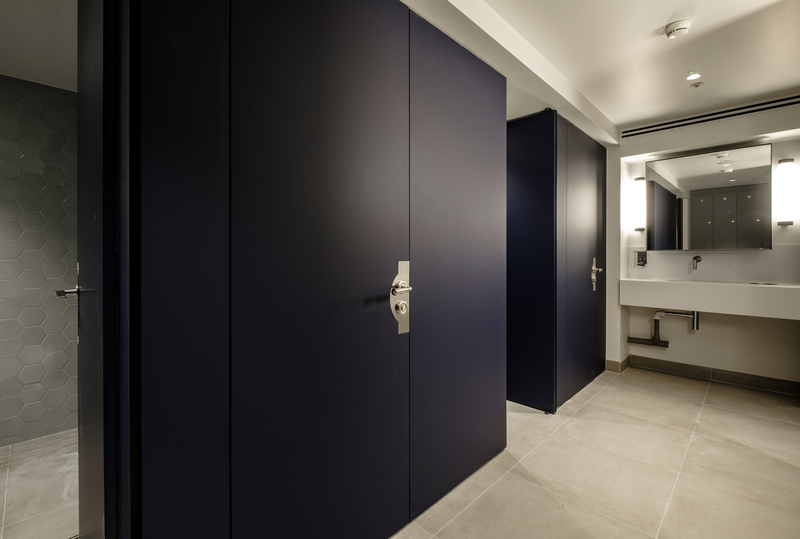 We designed and installed a washroom for Park House in London earlier this year, using the stylish combination of white, navy and wood-effect combined with bespoke architectural pull handles in brushed steel. Tego hinged mirrors sit above Arpeggio Corian vanity units in designer white, and the Alto full height shower cubicles are faced in blue matt FENIX laminate while the Alto full height washroom cubicles are faced in Prestige Walnut laminate from Formica. Our Octave real wood lockers are the perfect addition to this high specification staff changing area at an office on Austin Friars in the City of London. 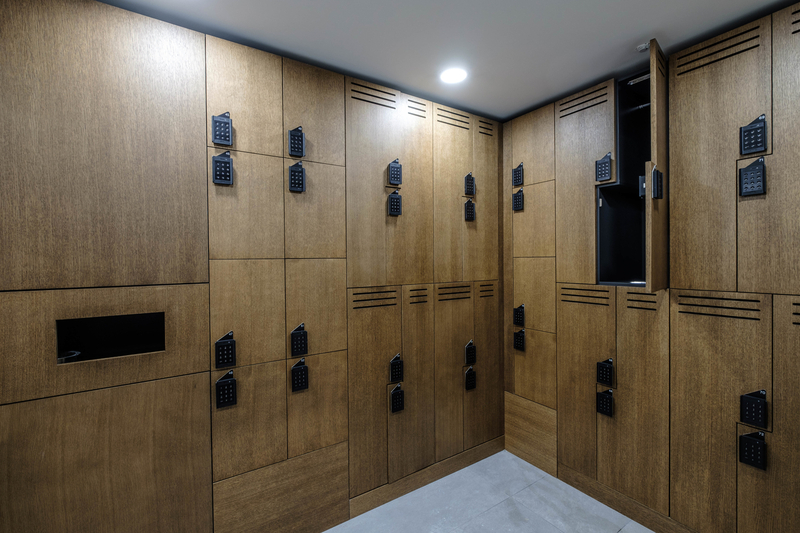 The stunning lockers were faced in straight grain stained oak veneer and were completed with ventilation cut outs and digital access locks. Keep an eye on our LinkedIn, Twitter and Instagram accounts for more project news and updates this year.